The Taylor Suite is ideal for small informal meetings. 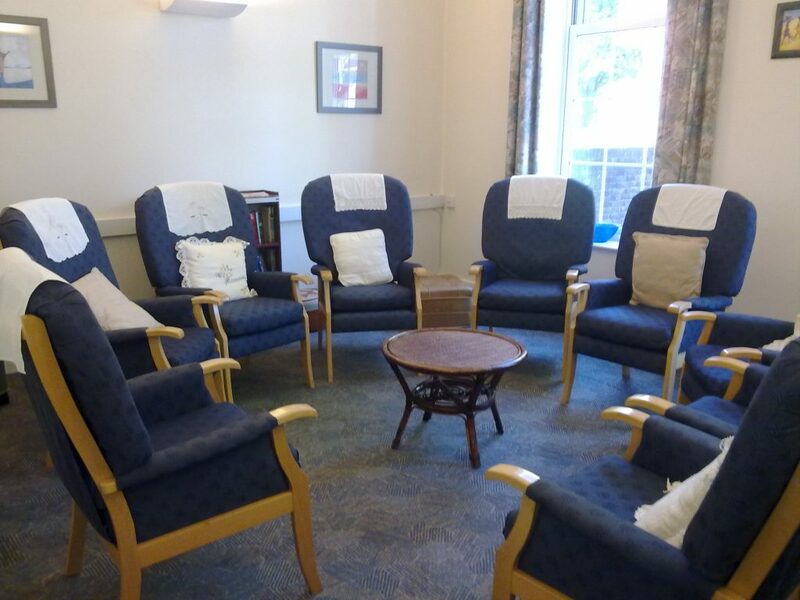 Named after Frances Taylor, the Foundress of the Poor Servants of the Mother of God, the suite comprises both meeting room and separate kitchen area. The cosy seating area provides a great ambience for informal meetings. The adjoining spacious kitchen provides instant access to tea and coffee making facilities. The addition of a dining table, which comfortably seats 6, provides the additional benefit of a separate breakout area. The Suite has a maximum capacity of 9 and the daily rate is £150. If booked as a supplementary breakout room the daily cost is £40.